You can also click HERE to see what our ebay customers think - this is something that can't be faked! Hi just a quick note to say thanks for telephone advice and quick delivery of my online order last week. More importantly thanks for the speedy delivery which you sent when I'd made an out of character complete and utter mess of fitting a tube to a heavy duty loadall type tyre on a sunday afternoon, and ruined the tube! Many thanks, my snow chains were delivered this morning – excellent service! Ordered from you Monday 15:23 – delivered in France today, Thursday 10:00. PS – they have achieved exactly what I expected. I have already cleared all my snow and now I have the chains, the weather has turned warmer and no more snow is expected! Just a quick 'thank you' for the Kenda K500 Super Turf tyres and tubes ordered by phone on 4 Sept, received by my friend and brought to me in Bulgaria yesterday. I'm very pleased with the tyres and with your service and will recommend your business. Just wanted to say a huge “THANK YOU”. Tubes here this morning and just the job. You guys better than Amazon Prime on delivery, price and availability. Many thanks for trailer tyres + tubes received yesterday. Ordered by 'phone Wednesday pm and delivered Friday - excellent advice & service. They fitted easily, were exactly the right size and look far better quality than the previous ones supplied with the trailer. Thanks again! Tyres etc arrived here just after lunchtime today (even though UPS delayed a day due to 'operating conditions', two days to Belfast is pretty amazing for the price) and I am very pleased. Great prices, great service, I'll recommend you to my buggying buddies. Mobility scooter tyres arrived yesterday afternoon, and were fitted by 6.00 pm. Excellent service, thank you , especially Clive for the help and advice. Just to say thank you. I am so impressed with the speed and efficiency demonstrated by your company in the delivery of my tyres that were only ordered yesterday. Very professional and at a good price. Just wanted to say what a fantastic customer experience I’ve had regarding my first order with you. Goods were perfect and arrived next day. Very impressed. Please pass on my thanks to your wider team. Tyres arrived today safe and sound. Sorry about messing you about over the sizes and very many thanks for dealing with the problems I caused in such a helpful way. Fantastic service, goods ordered 7th Ocotber from your website, delivered to my address in Normandy, France, 9th October. Please put my comments on your customer feedback. Bit late I know but its full swing mid season here – however I just wanted to drop you a line to say thanks for everything. The tyres arrived perfectly, were mounted the same day and the mower is transformed. Simply great service from tyre selection to arrival here in France. Anyhow thanks again and I wont hesitate to recommend and re-use your services. Just wanted to say I was very impressed by the time frame in which I received my goods. Ordered tyre and tube on Thursday afternoon and they arrived early next morning. Superb service…..will use again definitely………tractor back to work again….yippee! Just a note to say thank you for the excellent service you provided when I bought some tyres from you last week. I could not believe it when they arrived the following day. I am a great complainer BUT when accolades are due, I sing them from the rooftops. Your delivery arrived here today (my fault - I was not in on Tuesday when they first tried to deliver!) Tyre fitted within 1 hour and motorised wheelbarrow fully operational and in use on site 1 hour after that. Thank you for your advice, effort and stellar service. I will be using you in the future. In stark contrast - I have not yet had a delivery date for the same tyre order 3 weeks ago from a local tyre "specialist" here in France - appalling non service. Wow!!! Order placed a.m. 05/11. Delivery made Lunchtime 06/11. Plus, the itmes ordered are just what was required. Many Thanks. A Quality Service! We ordered the tyres on Monday with a 3 - 5 working day delivery estimate, we actually received them on Wednesday early afternoon, speedy or what! Needed to call to clarify a detail and the customer service is excellent, we would recommend you for any tyre needs. Impressed or what, ordered tyres on Monday afternoon and received them on the Costa Blanca, Spain on Thursday lunchtime. Well packaged and as advertised. Thanks Mike and your team I will certainly recommend your Co to my friends. Thank you for delivering my order. I purchased all-terrain tyres from you for my ride-on mower. The original factory fitted tyres were cheap two-ply and had degraded, splitting and leaking. I purchased one tyre from you some months ago and this order was for the other three. I am delighted with my dealings with you. DELIVERY: I ordered the tyres first thing on Monday and they were delivered the very first thing on Tuesday – that’s incredible service by any standard. QUALITY: The quality of the tyres is first rate. They are four-ply and far superior to the originals in many ways. VALUE: Your prices were the most competitive I found. The tyres are good value. SERVICE: I wanted to make sure that the tyres I purchased matched the one I had purchased months before – you did that. The 3 tyres (for a ride-on mower) are now fitted and I am very pleased with them. So thank you very much. It has been good to deal with you: great quality, great prices and great service and I will recommend you to others. If you wish to use this (in whole or part) as an unsolicited testimonial – feel free to do so. Thank you for so promptly sending a replacement for the valve insert which was missing from the 18.0/70-20 inner tube we purchased from you on invoice number 307698. I must congratulate you for finding a solution to our inner tube problem. I had searched locally and nationally and nobody else was able to offer us a suitable inner tube. I have received the inner tube I ordered on Tuesday afternoon which arrived here in Harrow at 11am Thursday morning. You must have some influence in the Postal service. What a quick delivery. If the tyres turn out to be as good as the service I will be very pleased. Many thanks, tyre arrived 2 days after ordering, fitted a 1950s colwood motor hoe perfectly. I slashed the rear tyre of my ride-on mower yesterday lunchtime. I called two local mower supply/repair shops, neither of them had time to talk to me but promised to call back. 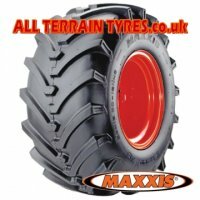 Unhappy with this level of service I found "allterraintyres.co.uk" on the web and ordered my tyre and two inner tubes at about 3.00pm. The delivery arrived the next morning just before lunch and BEFORE the two mower supply/repair shops had even returned my call. Now that's what I call real service! I'll be back. Many thanks. Received items today, fast & trouble free delivery, hope to do business again. I ordered 4 quad tyres yesterday and they arrived today! Just thought I'd say thank you for such a fantastic service. Its much appreciated. I just want to say thank you for your prompt service. The tyres I ordered on Monday were delivered on Tuesday morning. Tyres arrived this morning. Great service and thanks for the advice/help. I will recommend you to my Quadding friends. Inner tube for quad arrived yesterday, prompt professional service. Could do more of this else where. Many thanks to you all. I have just fitted the 4 Speedracers to my Grizzly. The handling is 200% better on the road now. Just to say ‘Thank You’ for sending the Tyre Cutter blades so quickly - they have just arrived & you have saved my bacon! Brilliant service on both our Orders (2281 & 2307) - thanks again. Give yourselves a pat on the back. I just can’t believe how fast my first order with you has arrived. I ordered the tubes at 1:30 pm and they arrived at 07:30 the next morning. If I had used a faster delivery option they probably would have arrived before I ordered them. thank you for quick delivery of the quad tyres excellent service and well chuffed with quality of tyres. Just a line to say thanks for sorting out my mower tyre problem - and crediting the returned tyres. I doubt you need much in the way of endorsements but your fast, friendly service was much appreciated - I will pass your details on to anybody who needs them, so you may end up with other orders from the opposite end of the country! Prompt service as before, thank you. Thanks for your excellent service and speedy despatch on this order. Goods arrived safely this morning. Excellent service, thank you. Nice to deal with a company that has both a great internet presence AND a friendly human interface. Glad I found you on the internet! Thanks Mike, order received very promptly. Unfortunately in this day and age, we only hear about things when they go wrong, seldom do we receive praise when things are right, and, more to the point, when service is exceeded. My thanks again for your service, catagorised as above, exceeded and appreciated. Received the tyre, well pleased! Quick response, you're "on the ball". Many thanks for your speedy delivery. I only phoned up yesterday to complete my order! And I have received my tyres at 11.45 a.m. today. All the way up from Cornwall. Must be record!! Many thanks I will certainly use you again. Received your Credit Note on Monday. Superb service - I know who to recommend! Many thanks indeed for my order. All at your end are to be congratulated for such a fantastic service, less than 24hours after placing my order the goods were on my doorstep!! I am not sure how much OKO solution to put into the tyres. I ordered 11 x 400-4 Turf, could you let me know. Thankyou for the very prompt delivery of my first order. The goods were of good quality and far cheaper than local suppliers. I placed a small order with you on Tuesday Evening , It arrived Thursday Morning, at 08.30hrs. For a first time customer, I think this is outstanding service. The items ordered were well packed and they arrived via my A.N.C. Delivery driver in perfect condition. Please pass on my sincere appreciation to all your staff, and I look forward to many years of 'Happy Shopping' with you. Click HERE to see what our ebay customers think of us!